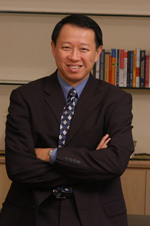 Tay Keong Tan is an Associate with Strategic Concepts International. He was formerly Executive Director of the Singapore International Foundation, which sends volunteers overseas on development assistance and humanitarian projects and develops civil society through volunteer training and service learning programmes. The flagship programs of the foundation, active in some thirty countries, are: Singapore Volunteers Overseas, Friends of Singapore, and Overseas Singaporeans (http://www.sif.org.sg). From 2004, the Foundation introduced several new platforms, including Singapore Executive Expeditions to promote volunteerism among corporate executives. From 2001 to 2003, Tay Keong served in concurrent appointments as Special Assistant to the Under-Secretary-General for Internal Oversight and Chief of Staff of in the Office of Internal Oversight Services (OIOS) at the United Nations headquarters in New York. OIOS is the supreme watchdog agency with a mandate to promote transparency, accountability, and quality management within the United Nations. In OIOS, he played a major role in initiating the Organizational Integrity Programme, the United Nations' first anti-corruption campaign and the agency's Risk Management Framework for oversight resource allocation and work planning. From 1998 to 2001, Tay Keong taught public policy analysis, strategic management, political analysis, organizational analysis, and public sector ethics in the Lee Kuan Yew School of Public Policy at the National University of Singapore. Apart from training graduate students in public policy, he also specialized in teaching senior officials in executive programmes, among others, the Commonwealth Top Management Programme and Singapore-Commonwealth Senior Management Programme. Tay Keong has consulted with the World Bank in Indonesia, the Danish International Development Agency in Laos, the United Nations Institute for Training and Research in Afghanistan, the Bangladesh Rural Advancement Committee (one of the pioneers of microfinance in Bangladesh), and the Royal Civil Service Commission of Bhutan. He also serves as a volunteer resource person on organizational integrity and governance for the Public Integrity Education Network, a global grouping of ethics and integrity professionals and educators. Tay Keong was one of Singapore's two representatives to the East Asia Vision Group, an eminent persons group with representatives from thirteen Asian countries tasked to craft a future for Asian cooperation. Many of the East Asia Vision Group report recommendations, such as viewing the region as an evolving Asian Community, are now in the process of implementation. Tay Keong's Master in Public Policy degree and Ph.D. in Public Policy are from Harvard University's John F. Kennedy School of Government and Graduate School of Arts and Sciences respectively. His dissertation research was on the social capital and cultural survival of the Amish community in Lancaster County, Pennsylvania. "With the Best of Intentions: Singapore Volunteers and Donors and the Tsunami Reconstruction," Lianhe Zaobao (Singapore Chinese-language newspaper), two-part article published December 28, 2005 and January 3, 2006. "Knowledge Has Many Colors: The Public Policy Management of Madrasah Education," Noor Aisha Abdul Rahman and Lai Ah Eng, eds. Secularism and Spirituality: Seeking Integrated Knowledge and Success in Madrasah Education in Singapore, Singapore: Institute of Policy Studies and Marshall Cavendish International, 2006. With Sea-Change Partners, "Information, Indicators, Incentives, and Integrity: Overcoming Obstacles to Effective Anti-Corruption Monitoring in World Bank-financed Projects in Indonesia," Consulting report for the World Bank Office of Jakarta, December 2005 (Confidential). With Sea-Change Partners, "Monitoring Corruption in World Bank Projects," Consulting report for the World Bank Office of Jakarta, September 2004 (Confidential). "Masters, Mandarins and Mortals: Constituting the Singapore National Integrity System," Chapter 14 of Simon Tay and Maria Seda, eds., The Enemy Within: Combating Corruption in Asia, Singapore: Eastern University Press, 2003. "Watchdogs in the Midst of Wolves: Investigating Corruption in the UNHCR Refugee Camps in Nairobi," Three-part case study written for the Harvard University Executive Program on Corruption Control and Organizational Integrity, June 2003. With Khoo Boon Hui, "Learning and Innovation in Public Institutions: Lessons from Singapore," Chapter 9 of Mukul G. Asher, David Newman, and Thomas P. Snyder, eds., Public Policy in Asia: Implications for Business and Government, Westport, CT: Quorum Books, 2002, 175-192. With Loizos Heracleous, "Teaching Old Dogs New Tricks: Implementing Organizational Learning in an Asian National Police Force," Journal of Applied Behavioral Science, Vol. 37 No. 3, September 2001, 361-380. "Mandarins, Masses and Mnemonic Devices: Combating Corruption in Singapore," Chapter 1 of Antonio C. Pedro, Jr. ed., Combating Corruption in East Asia, Manila: Yuchengco Center for East Asia, 2001, 1-16. "Social Capital and State-Civil Society Relations in Singapore," Institute of Policy Studies, IPS Working Papers Series No. 9, September 2001. "Soft Power Strategies of Small States" and "The National Integrity System in Singapore," invited addresses to Tel Aviv University, Israel, November 2005. "Social Responsibility: International Perspectives and Practices," Confederation of Indian Industry, 6th Social Summit, Conference on Social Responsibility: Building Good Business Practices, Delhi, India, December 2004. Chair of Asian Opinion Leaders Consultation, IDA 14 Replenishment Meeting, Consultative Group for Vietnam/World Bank, Hanoi, Vietnam, July 2004. Keynote address, Connexions 2004 (Conference of Singapore Student Associations and Clubs of Australia), Monash University, Melbourne, Australia, August 2004. "Public Sector Governance and Reform in Singapore," International Symposium on Public Service Reform and Good Governance, Hainan, China, November 2003. "The United Nations: Mission, Mandates, and Myths," Address to the Distinguished University Alumni League, Singapore, November 2003. Keynote address on "Building Social Capital," Research Seminar 2003, Ministry of Community Development and Sports, Singapore, September 2003. "A New Perspective on Singapore's National Integrity System" and "Corruption and Integrity in the United Nations," 11th International Anti-Corruption Conference, Seoul, Korea, May 2003. "Institutionalizing International Integrity Systems: The Experience of the United Nations," International Institute of Public Ethics Biennial Conference, Brisbane, Australia, October 2002. "Masters, Mandarins, and Mortals: The Constitution of Singapore's National Integrity System, "presented to the Conference on Fighting Corruption: Common Challenges and Shared Experiences, Singapore, May 2001. Also the key organizer of this international conference. "Social Capital and State-Civil Society Relations in Singapore," International Research Symposium on Public Management V, Barcelona, Spain, April 2001. "Corruption: Mafia, Monopolies, and Misguided Oligarchies" presented at the 6th Regional Ethics in Leadership Conference, Hanoi, Vietnam, February 2001. "Identity, Initiatives, and Institutions: Building Blocks of an East Asian Community" presented to the ASEAN + 3 Young Leaders Forum in Bandar Seri Begawan, Brunei, August 2000. "Learning and Innovations in the Singapore Police Force an Era of Rapid Change" presented to the Conference on Perspectives on Public Policy in the 21st Century, Singapore, September 1999. Also organized and chaired a panel on "Innovations in Government" at the conference. "Social Capital and the Travailing of Civil Society in Singapore," a paper presented to the Conference on Globalization & Democratic Developments in Asia, Lund University, Sweden, May 2000.